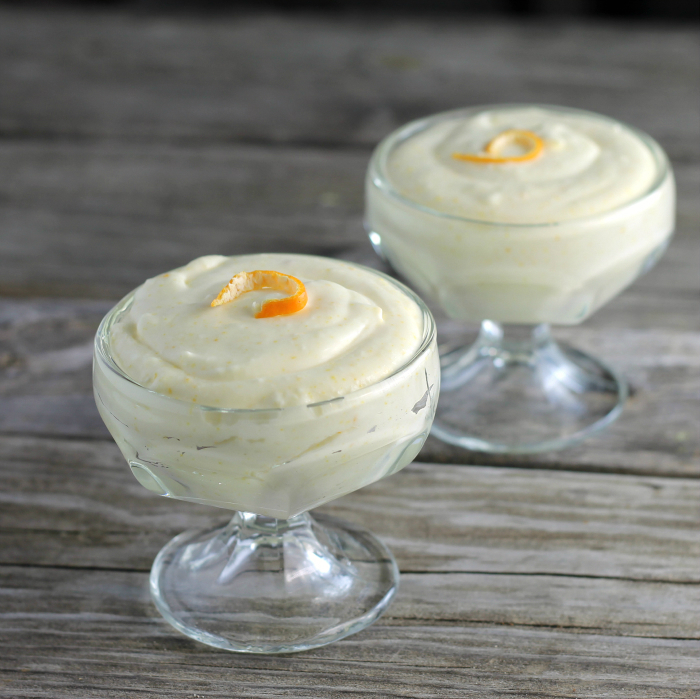 Orange cream cheese mousse, a simple dessert that is rich and creamy, it’s sure to satisfy your sweet tooth. I am sitting at my computer trying to write this post and the words are not coming to me. I have started several times, just to delete the words and sentences, to start all over again. I had thought of different things that I wanted to add this post earlier today, but they are gone now. So I will have to go with a simple post, as this dessert was a simple one as well. I had mentioned in a post earlier this week that our local grocery store had a huge sale on oranges. Each week when the ads come out I love to look at the grocery store ads to see what specials are running. Sometimes I like to decide on what recipes I will make for the blog with what foods are on special. So when I saw that the oranges were on sale it got me thinking about desserts. I knew that I wanted something simple and didn’t take a lot of time. 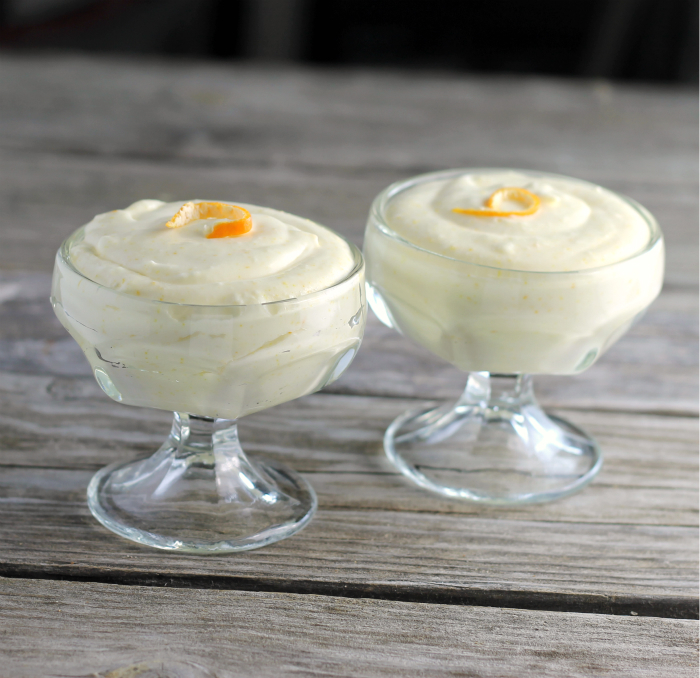 Cream cheese and orange go so well together that I decided to create a mousse using these two ingredients with a couple of other ingredients. It really could not be much easier than this. I started out with the cream cheese; I took it out of the refrigerator and brought it to room temperature. Then the orange was zested and orange juice squeezed from the orange. Once these tasks were completed, the cream cheese was beaten with an electric mixer until it was light and fluffy. Then powdered sugar, orange zest, and orange juice are beaten into the cream cheese. Once that is completed, heavy whipping cream is beaten until stiff peaks form. The whipped cream is then folded into the orange cream cheese mixture. 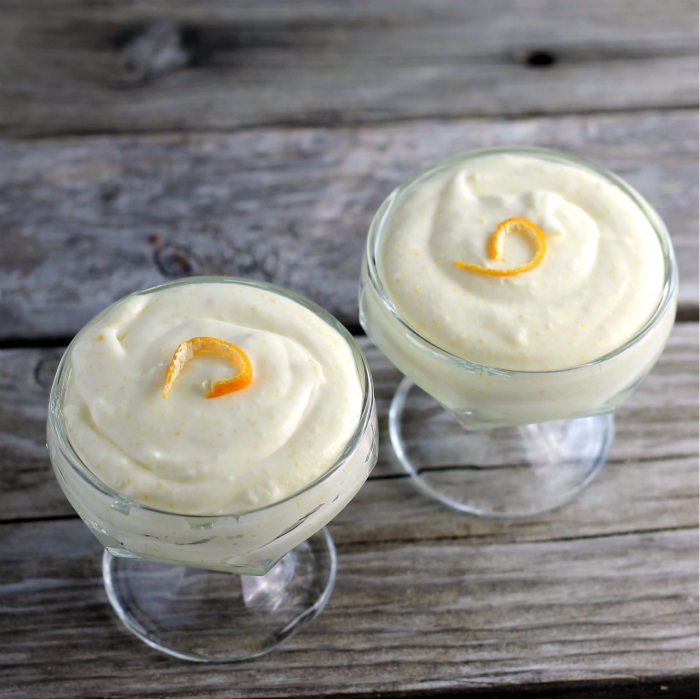 The orange zest and orange brought a wonderful citrus flavor to this mousse. 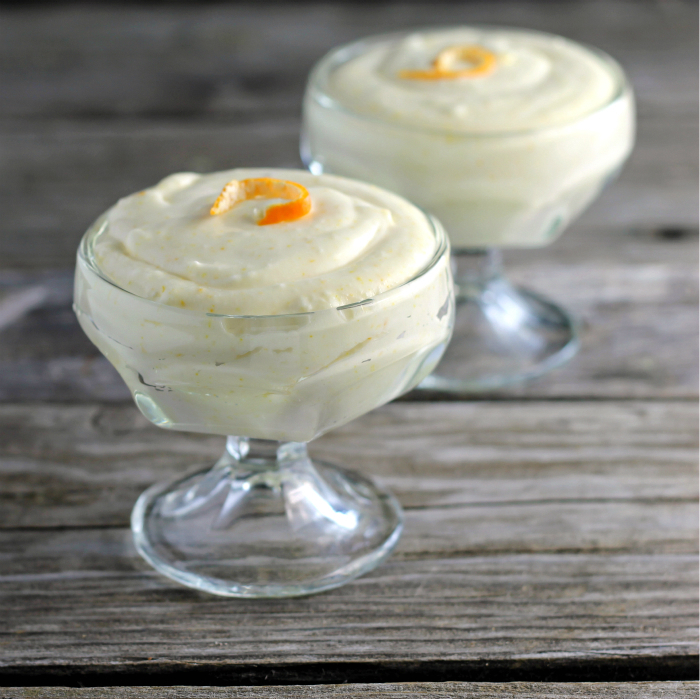 As I mentioned it is a simple dessert, but besides being simple, it’s a rich creamy dessert. The whole family is sure to love this one. Bring the cream cheese to room temperature. Once the cream cheese is at room temperature add to a large bowl, with an electric mixer beat until light and fluffy. Add the orange zest, orange juice, and powdered sugar and beat in. Add the whipping cream to another bowl and beat until stiff peaks form. Add the whipped cream to the cream cheese mixture and fold in. Spoon into dessert dishes and serve. Hi Dawn, love citrus season, we have a lemon and grapefruit tree, I could probably make this in one of those flavors, looks delicious Pinned. I totally know that writer’s block feeling. Sometimes the words just come to me easily, and other times I just sit and stare at the blank screen. In this case, I’m just sitting and starting at that delicious mousse! I love how easy this recipe is, and I’m thinking the citrus flavors would be a perfect way to brighten up these cold winter days!